The Computer History Museum will be honoring Ed Catmull with their annual Fellow Award. Held since 1987 the Fellow Awards have honored individuals in the advancement of computer technology - highlighting and preserving the stories of these esteemed technology heroes for future generations. Computer History Fellow Award. Photo via Computer History Museum. The Computer History Museum notes that Catmull will be honored due to his pioneering work in computer graphics, animation and filmmaking. An honor that we couldn't agree with more! 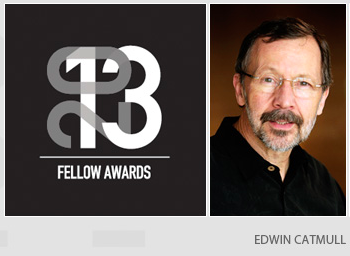 Congratulations to Ed Catmull on this great recognition. 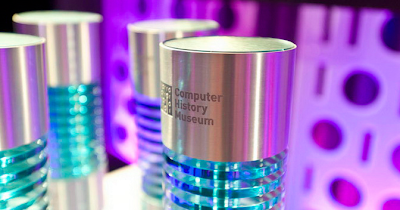 The awards will take place on Saturday, April 27 at The Computer History Museum. An interesting side note we had a reader visit The Computer History Museum in May 2012 and they graciously sent us photos of the original Pixar computer, be sure to check out that post here. If you want to read more into the history of Pixar see our interview with the author of The Pixar Touch.